How are Solar Panels an Eco-Friendly Energy Option? The energy crisis is not an American problem, but a global one which has the potential to impact every facet of our daily lives. The nations of the world have been working round-the-clock for solutions that will allow them to keep energy supplies endlessly available. At the same time, wastage of available energy and continuing dependence on non-renewable sources undermine all of these efforts and prevent significant development in the situation. There is a silver lining though, especially in geographical locations that are blessed with plentiful sunshine, where initiatives are in place to harness this abundant and never-ending source of energy. 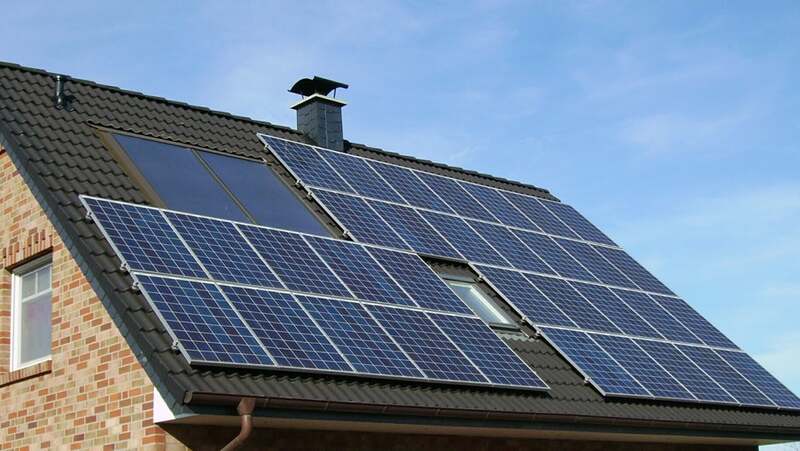 In particular, by showing increasing interest in solar panels, Tampa home and business owners are clearly indicating their keenness to make the best use of their Sunshine State status and their willingness to be environmentally responsible, too. To understand why going solar is the best option for you, start by learning how solar panels work and why they are a green option. The PV (or solar) cells in your solar panel are made of special materials termed as semiconductors. Silicon is the most commonly used semiconductor in PV cells. The solar panel is mounted on your roof or in a location where maximum sunlight is likely to fall upon it. The more the sunlight falling on the solar panel, the more the power you can generate. When the sunlight falls on the PV cells, a portion of it is absorbed by the semiconductor material. In other words energy is absorbed by the semiconductor. This absorbed energy helps to loosen the electrons in the layer of the semiconductor. There are one or more electric fields present in the PV cells. These fields force the free electrons to move in a certain direction, thus producing current. We can use this current for charging external objects by placing metal contacts on the top and the bottom of a PV cell. The amount of power a PV cell is capable of producing depends upon the sum total of this current and the cell’s voltage. Unlike energy from coal-fired processes solar energy does not result in harmful carbon emissions that increase global warming or atmospheric pollution. Statistically speaking, 1 kilowatt (KW) of solar energy prevents 300 pounds of carbon from entering the atmosphere. Solar power also saves water, another natural resource that is getting scarcer by the day. Research shows that generating electricity using solar panels lets you save almost 90 percent water when you compare it with energy production from coal. The oil stock of the world is being depleted at a fast pace and statistics show that if we continue to consume this resource at the same pace we are all set to run out of oil over the next four decades. Coal will be exhausted in about 140 years. Switching to solar energy can help slow down this depletion so that these resources are available for use for a longer period and for critical needs when other alternatives are not viable. Studies have also shown that solar energy is a healthy option for humans because it represents far less toxicity than other power production processes that are in use currently. The use of fossil fuels (natural fuels like coal, gas etc.) results in water, air and also land pollution. This impacts not just humans but all living creatures. For example, mercury pollution resulting from coal firing is responsible for high levels of mercury in fish, making them dangerous for consumption. Fish consumption advisory warning people of this danger has been issued by several states across the US. Switching to solar power prevents this all-round pollution and allows every living being on the planet to lead a healthier life. At present our energy consumption is over a hundred trillion kilowatt hours per year. Researchers predict that by the 2030- 2040 decade, this consumption will double and by the time the 22nd century is here, the figure is all set to quadruple. At the same time, studies are indicating that our energy efficiency is worsening at a dramatic rate. Our carbon-dioxide emissions are at record highs, spelling disaster for the environment. Action needs to be taken now and in such a way that it can address these multiple issues while giving us a source of power that is virtually unlimited. Going solar is the perfect solution that fulfills all these needs and Florida residents are placed ideally to make the best use of this natural, renewable energy source. By installing solar panels, Tampa residents have a lot to look forward to. If you decide to join the brigade, get ready to enjoy the cost savings that you get from going solar, the satisfaction of doing what is environmentally right and the fulfillment that comes from being a responsible global citizen.